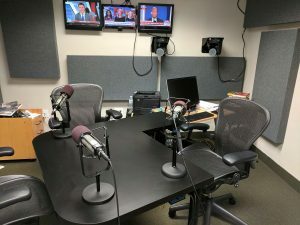 District Productive Studio Rentals is a podcast network and incubator on Capitol Hill near the historic Eastern Market in Washington DC. 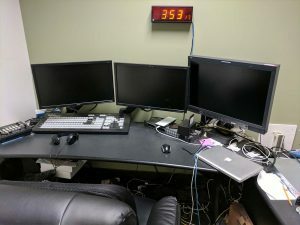 The Productive team has decades of experience creating highly successful audio and video programs for broadcast, cable, digital and social media. 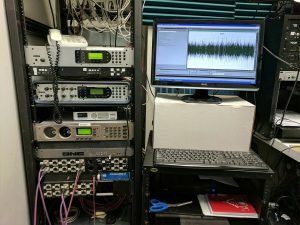 The District Productive studio facility is fully equipped to handle all of your audio/visual broadcast needs and is available for rental. 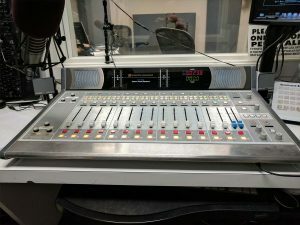 Successful podcasts such as Recode/Decode from Vox Media and The Undefeated from ESPN have broadcast their show from our studios. Thought-provoking insights from the left side of the aisle. The host of radio’s nationally syndicated Bill Press Show (Monday-Friday from 7-9am ET), Press attends the daily White House press briefing and writes a syndicated newspaper column, distributed weekly by Tribune Media Services. Add Passion and Stir: Big Chefs, Big Ideas is a weekly podcast about inspirational people who are changing the world. In each episode, Billy Shore, the founder and CEO of anti-poverty nonprofit Share Our Strength, brings together prominent change-makers and guests from the culinary world to discuss how food is at the intersection of social transformation. We The States is the official podcast of the National Governors Association. Democracy starts with states, but what is the current state of our states? And how are our leaders preparing for what lies ahead? In this season of We The States, we’ll answer those questions with in-depth, thought-provoking conversations with governors, thought leaders and business innovators who gathered in Washington, D.C. for the National Governors Association’s 111th annual Winter Meeting. Famed astronomer Andrew Fraknoi and esteemed broadcaster Gil Gross highlight the news from our planet and beyond. Way beyond. Really really way beyond. There is plenty of news about our Universe every week from new discoveries to new theories about multi-dimensions to things we always thought we knew which now turn out to be all wrong.